Chittenden County’s Shelburne is a convenient “bedroom” community to Burlington. It has a strong community and lovely real estate sprawling across 43 square miles. The town runs east of Route 7 all the way to Lake Champlain where there are several waterfront homes. The town center has a great grocery store, lovely boutiques, a country store and restaurants. 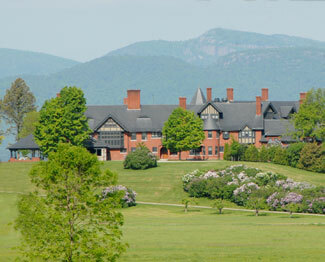 Shelburne is home to the Shelburne Museum and Shelburne Farms. Search all listings for sale in Shelburne, VT below. If you have any questions or would like more information on a property - contact us. You can also sign up for a free account to save your top listings and get updates when similar listings come on the market. Beautiful to-be-built, craftsman home on highly desired Spear Street. The easterly views of Mount Mansfield and Camel's Hump make this level and open lot irresistible! Enter the home through the large foyer with walk in closet. On the right you will find a generous mudroom with built in bench as well as the half bathroom. The spacious family room with coffered ceiling leads into the kitchen equipped with cooktop, wall oven, island seating for four and large pantry. The dining room is open to the rest of the living area and has room for displaying your favorite wines, as well as a sliding glass door that leads to the back deck. A wet bar, office with built in shelving and screened in porch complete the first floor. Upstairs you will find the master suite with large walk in closet. The en suite offers double sinks, tub with electric fireplace above and tiled shower. Three additional bedrooms, the main bathroom and a laundry room finish off the second floor. An oversized garage is another bonus of the home!